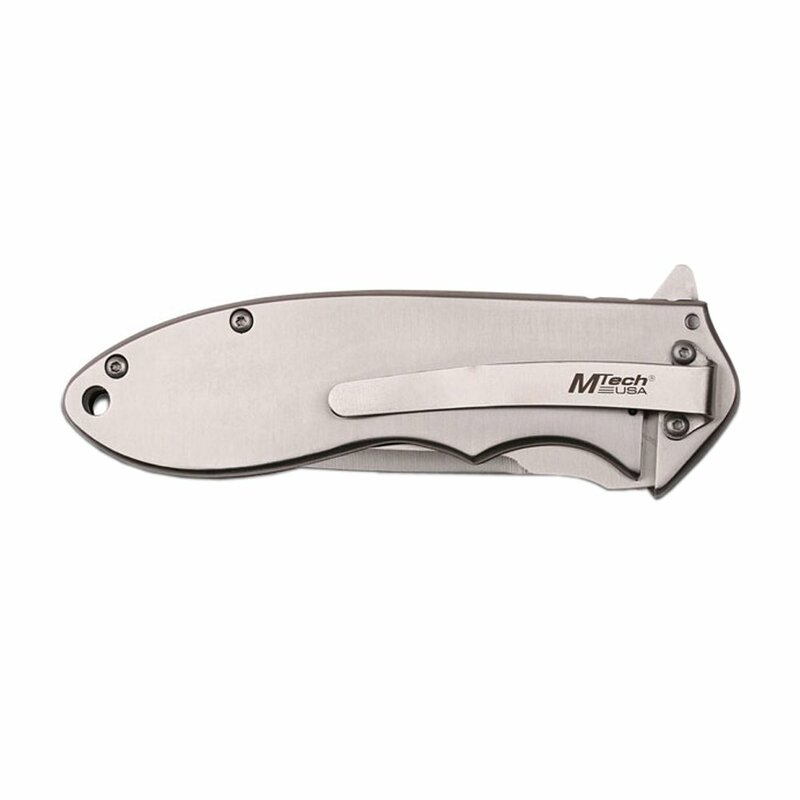 This flashy everyday carry folder opens in a flash! 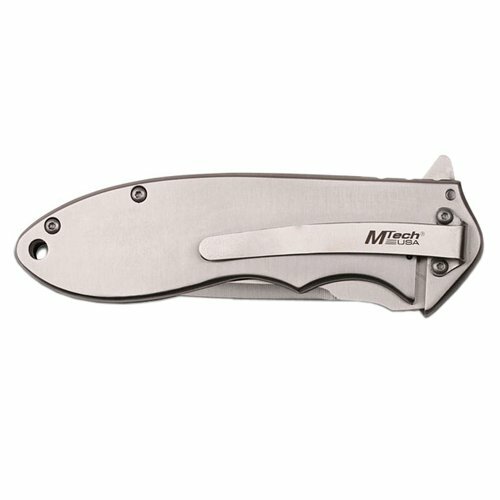 The MTech MT-1965BZ has a spring-assisted drop point blade that’s easy to engage with the flipper fin. 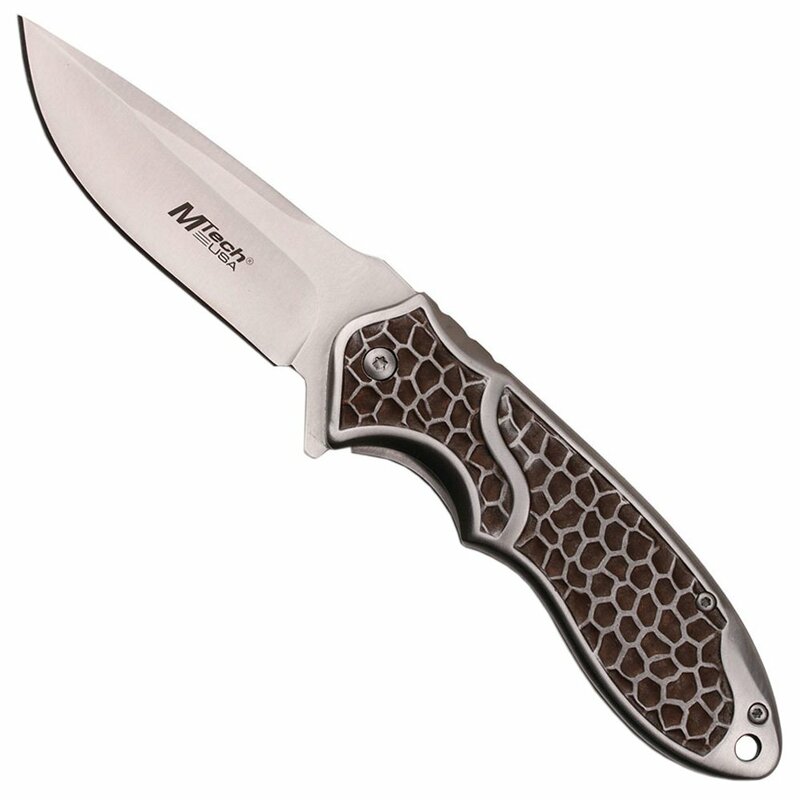 It features a durable stainless steel handle with a unique bronze titanium coating that gives the knife extra grip and serious style. 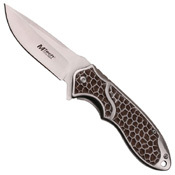 With a thin pocket clip and slim profile this knife is easy to conceal but begs to be shown off. 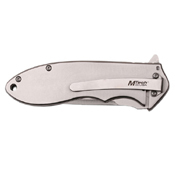 Unlike switchblades, which open automatically with a push-button, spring-assisted knives (also known as assisted open, quick release, and torsion assist knives) are only semi-automatic. They house an internal spring mechanism that kicks in once the blade has been manually opened about 45°.